Day to day experiences of having Muscular Dystrophy-MD in Kenya and by Kenyans. 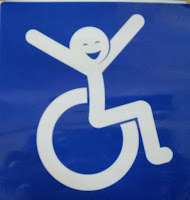 Muscular Dystrophy Society Kenya (MDSK) is a support platform for families and those with MD in Kenya. Have you ever watched a movie that impacts greatly on your life from that moment on? One that changes you and how you deal with situations? My name is Khan is one such movie for me. "There are only two kinds of people in this world"
"Good peoplewho do good deeds"
"And bad people who do bad"
"Good people. Bad people. No other difference"
This conversation rings in my head very many times . The Kenyan Persons with Disabilities Act 2003 which is currently under review provides under Article 21- Accessibility and mobility that " Persons with disabilities are entitled to barrier free and disability friendly environments to enable them to have access to buildings, roads and other social amenities and assistive devices and other equipment to promote their mobility"
Due to limitations brought about by this Muscular dystrophy that has decided to be a parasite on my muscles, I've developed gravitational insecurities when faced with uneven ground, wet surfaces, inclining ground, staircases without rails and heights, even that between the ground and myself. There's this place that I go to on a daily basis and there are about 50 parking spaces in the building with some of them being outside the main entrance. Out of these, none of them is reserved for drivers with disabilities. that always leaves me with a smile though I'd have been happier with this one. There's a rotation that should happen to decide who gets to back away from the building at a paid parking which is about 400meatres away without a footpath in between. The choice of the day is open and those in the ballot can pick the days when would be okay parking away. Your reason could be anything from that day being the one when you don't have an evening class that would require your car being close by just in case you need to dash out in a hurry. That or the day you decide to not have a disability meaning walking on the distance would not put your at risk of bodily harm and your muscles will be as good as new without an ounce of fatigue! That second part is my interpretation when someone who has never helped you lobby for an accessible slot let alone a parking slot suggests that you pick a day that you are okay with parking elsewhere. When I get there in the morning and the guards manning the gate ( who have helped me up once when I fell on a sunny morning going into the building) who have observed the trouble I have walking from the parking slot that I lobbied for together with a friend months back, up the steep incline to get into the building and decide to direct me to a slot close to an alternative entrance that is safe for me to walk without the constant fear that my hyperactive legs will give way or having a pebble under my feet that will send me to the ground in seconds, then walk into the office and someone asks you where you parked while reminding you that it was your day to park elsewhere, am more certain that ever that there are only two people in the world, Good people and Bad people. No you ain't overreacting ... those are bad people right there!!! Hugs. Somebody pinch me please, now! I'm not a fan of hospitals, scratch that, I'm actually okay going to hospitals as long as I'm not a patient. I do not enjoy drugs, I hate them to the point that I might actually fall sick at the thought of having to take drugs, they almost always get stuck in my throat especially the tablets. Like most people I know, I'm not exception in only going t hospital when in pain and absence of pain means that all is great. This is not always the case. At some point I realised that maybe we do not want to face the unknowns hence shy away from hospitals and doctors. Save for my dentist, therapist and that one doctor's visit my sibling had that I got to tag along, did I mention that I asked the doctor so many questions I was sure he wished he could throw me out at some point and this was clear from the look on his face, I have not seen a doctor for almost three years. 2015 was quite an eventful year so much so that I often caught myself unsure of when certain events had taken place. I'm a Kenyan with Muscular dystrophy who lives daily life with experiences of the condition. In this blog, I express my thoughts and opinions about MD with the hope that other Kenyans with MD do not have the same experiences I had growing up in a society ridden with superstition and great ignorance about MD and other genetic conditions. My feminist side and disability advocacy is bound to show up in my posts. 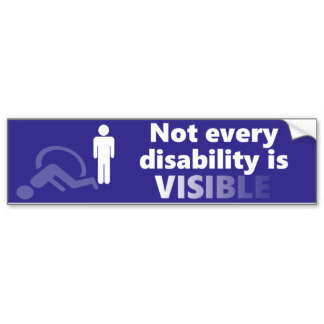 My views on disability also continue to grow over the years.